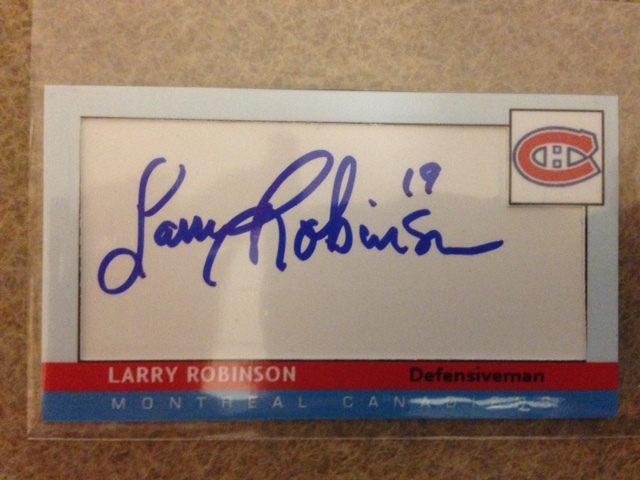 And Now For Some Hockey TTM Love . . .
With all the TTM success I have been having recently, I wanted to open it up to another sport, hockey. 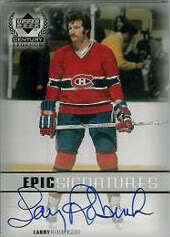 If you remember way way back when I used to write Bad Wax, I did a lot of hockey TTM. My wife is really into the NHL and it was a way for us to kind of bond around my hobby. For this template, I again wanted to stick with the mini cut autograph motif. 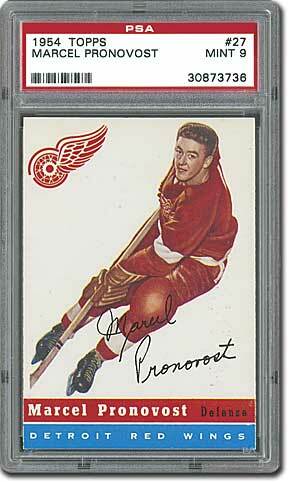 I needed a vintage set to steal a design from so I went with the inaugural Topps 1954-55 Hockey. Starting with the front I opted to go with a light blue ice colored boarder with the boxed in logo on the top right (to aid with no interference when the signer signs the card. Went with a dark blue on red bottom of the card, just like the original. I think it’s a fairly good representation of what a card from that set would have looked like if they did cut autographs back then. For the back of the card, I wanted to do something that took the best elements of the original set’s back but stay consistent with the other two sport’s back. To the right you’ll see the original back. I stayed very close that that back. The blue and red band on top, the stick, running under the red band and above the blue band. I even threw in a cartoon, just like the original. 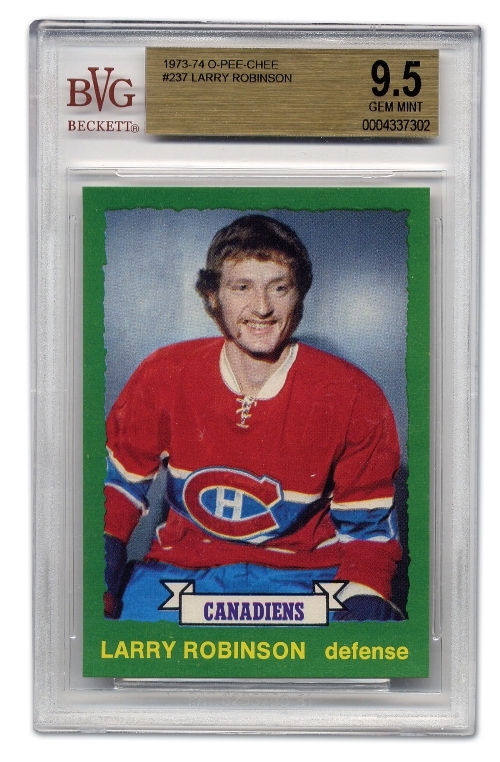 Plus if you look very closely at the blade, I replaced Topps Hockey in the stick blade with Bad Wax Hockey. Was going to take the light brown vintage color back, but I just didn’t like the way it looked so I changed it to a ice blue color like the front border. Overall all though I think I did the back justice by sticking to the original as best I could. 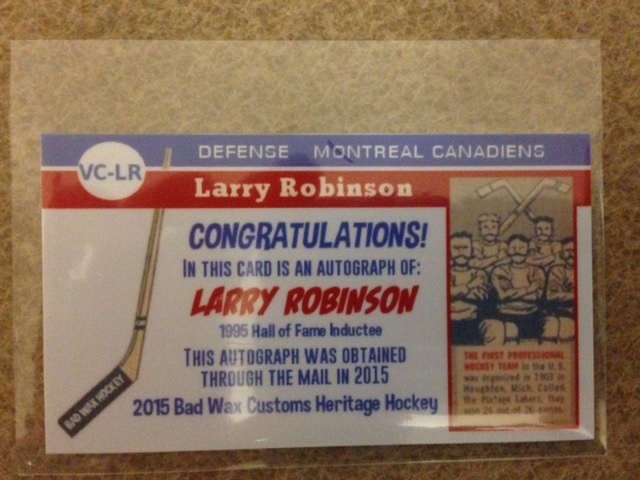 As for the through the mail requests, I have Ted Lindsay, Larry Robinson, Chris Chelios, and Ron Hextall. All four are Hall of Fame members and all four are very good through the mail signers. I will update you as to how long it takes and where I sent it to as they come back. Let me know what you think about the design . . .